Buy a MacBook Now or Wait? After Core 2 Duo, What's Next for Apple's 'Books? "Okay, here's the deal: my wife's birthday is at the end of September. Since getting her an iPhone 3 weeks ago she's completely fallen for the thing and is now ready to accept a new Mac as a replacement for her rapidly dying Windows XP laptop. The Windows laptop she uses is running painfully slowly and needs a full reformat and reinstall. Since I'm now heavy into Macs I'd rather not deal with it anymore so the time has come. "That said I've got a bit of a challenge. My wife is a high school teacher and qualifies for not only an educational discount but also the special that Apple is running through September 15th that gives students and teachers up to a $299 rebate on a qualifying iPod purchase. That means we could get her a nice little MacBook and give the free 8 GB iPod Touch to our oldest daughter in college. "This would be a slam dunk except for the news that's been building that Apple is on the verge of releasing updates to both the iPods and MacBooks...."
Link: Buy My Wife a MacBook Now or Wait? "It's always a bit of a delicate dance, running the laptop division at a computer company - certainly at one that's as vertically integrated as Apple, and certainly when the next generation of the company's popular MacBook and MacBook Pro lines are being prepped for release. "Core i7 [Intel's next laptop chip that was code-named 'Nehalem'] and Calpella [the next Intel portable chipset after the current Centrino 2/Montevina and the older Santa Rosa that is still holding the fort in current MacBooks and MacBook Pros] . . . promises huge advances over past models, with Intel's QuickPath replacing the front-side bus (FSB) and hooking the CPU straight to the system RAM; eight virtual cores via Hyper-Threading . . . Calpella is supposed to unleash the Core i7 goodness described above, plus support newer technologies such as Blu-ray, WiMax and solid-state hard drives. "Whether Apple will use the full Calpella platform, though, is not certain...."
Link: After the Core 2 Duo Chip, What's Next for Apple Laptops? "A year later, Apple added a consumer laptop under the new iBook brand...."
"The idea of a tablet-style Mac has been bubbling along for some time, but new information from a supposedly reliable source has thrown fresh fuel on the flames. If this is really what's coming from Apple in the next month or two, I'll have one for Christmas, please! "Earlier this week MacDailyNews published a tip that we're about to see a new Mac with a multi-touch screen. Unlike suggestions of a touchscreen device along the lines of an oversized iPod touch, this one is said to run full Mac OS X, not the somewhat reduced OS X used on the current handhelds, including the iPhone...."
"In a revised company filing discovered by AppleInsider, iPhone maker Apple Inc. illustrates a number of techniques that would pave the way for tablet Macs that display a near full-sized multi-touch keyboard and run an undiluted version of the Mac OS X operating system. "Much of the 52-page filing describes methods for accurately detecting and deciphering a plurality of simultaneous contacts on a touch screen, which sets the foundation for future tablet-based products that users can manipulate using not only more than one finger, but more than one hand. "The illustrations in the April 15, 2008 document, which builds on filings dating back two years, depict a tablet Mac with a full windowing interface, by which interface windows can be enlarged, shrunk, moved, and cycled, rather than being locked or set in place as they are with the company's iPhone...."
"Apple has been developing interface technology that would allow for a multi-touch handheld with full Mac OS X rather than a streamlined interface, the company has revealed through a US patent filing published today. Showing an example device which is clearly portable, the patent for a gesture system would adapt many of the basic control scheme elements familiar to Mac OS X to an environment where touch input is assumed but which is larger than an iPhone or iPod touch-class device." "My Mac hard disk got really fat and full, it was disgusting. This problem is happening to many people who have bought the original MacBooks. They are feeling the distinctly tight pinch of a small hard drive. I bought my MacBook ~2 years ago and it came with a 60 Gig hard disk, clearly not enough for our information-dense age. I quickly filled up and had to erase and re-erase old information. I lost an entire instructable after erasing a folder of pictures to make room for more. "Here's how I upgraded my hard drive to 320 Gigs while upgrading to Mac OS X Leopard and installing Time Machine. All while keeping all my old applications and data safe. "Your past work will be fossilized . "Your present work will be preserved. "And your Mac will become a spacious palace to contain all your work." Late last week at the IFA Consumer Electronics trade fair in Berlin, Samsung announced its new X360 ultralight, ultrathin laptop targeting the same user demographic as the MacBook Air's. Built around Intel's new Centrino 2 technology, the X360 will be available with a variety of 45nm Penryn II Core 2 Duo ultra-low voltage processors running on an 800 MHz front side bus, equipped with one GB of memory standard (upgradable to 4 GB), and use Intel's Graphics Media Accelerator X4500 graphics core, which dynamically annexes system memory and is claimed to offer substantially better performance than the GMA X3100 technology used in the current MacBook Air. The X360 has a 13.3", 1280 x 800 LED-backlit glossy widescreen display and an array of I/O ports including 3 USB ports, a built-in HDMI (High Definition Multimedia Interface) connection that allows 100% transmission of visual and audio digital signals, an Express Card 34 slot and VGA video output. For fast and easy transfer of documents, images, video or music it has a 7 in 1 memory card reader, and 10/100/1000 Ethernet, plus Bluetooth 2.0+EDR and 802.11n wireless connectivity technology. There is also an integrated 1.3 megapixel digital motion camera, Headphone-out and Mic in ports plus an integrated mic, and if that's not enough it's dockable with support for Samsung's P-Dock docking station - which simplifies cabling and provides a 'single click' connection and easy access to a wide variety of ports easy access to a wide variety of ports, including Serial, 5 x USB, LAN, HDMI, SIO, e-SATA and DVI (Digital Video Interface, for extra connectivity. As with the MacBook Air, there's no built-in optical drive. The Samsung X360 doesn't have FireWire, but on most other counts, it eclipses the MacBook Air connectivity-wise, and does do weighing in at 1.27 kg when it's fitted with a 64 GB or 128 GB SSD and the standard six-cell battery - that's actually just a smidge lighter than the MacBook Air's 1.36 Kg weight. Samsung is claiming that the X360's removable 6 cell battery can provide up to 10 hours continuous use but more like six hours' "real world usage" battery life. The X360 even has a secure biometric fingerprint and trusted platform module authentication system, another thing not available on the MacBook Air. Samsung says the X360's Protect-O-Edge casing is built using magnesium alloy to provide high strength and top-notch reliability coupled with good ergonomics and premium styling, and while not quite as spectacular-looking as the MacBook Air, it's a very attractive small laptop. 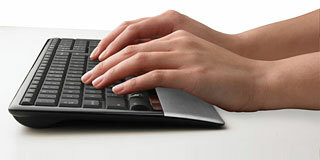 It also has a real, conventional-type keyboard, which appeals to me a lot more than the chiclet 'board in the Air. Samsung claims that the optional 128 GB Solid State Drive offers boot times 25-50 percent faster, and data access times 300 percent faster (53 MB/s) for reading and 150 percent faster (28 MB/s) for writing than standard hard drives. Somewhat quirkily, the X360, at least for the Asian and European markets, incorporates what Samsung calls "Silver Nano Technology," embedding nano-sized silver ion powder in the keyboard for antibacterial protection. Whether this feature will ever make it to North America is an imponderable, since a damper (to say the least) was put on the antimicrobial input device market last March when the EPA fined ATEN Technology, Inc., of Irvine, CA, peripherals-maker IOGear's parent company, $208,000 for selling "unregistered pesticides" and making "unproven claims" about their effectiveness, as we reported in a feature here on Low End Mac. The downside, as with all PC laptops is that you can't run the Mac OS (at least legally) on the Samsung X360, but desktop Linux is getting better all the time, and if needed a subnotebook workhorse computer as a road-warrioring work tool to, say, replace 12" PowerBook, I would find the X360 mighty enticing, in fact I'm smitten by it anyway, and the MacBook Air not at all as a prospective purchase. Something for Apple to chew on, and serious subnotebook fans can only hope that the rumors of a subcompact MacBook Pro coming next year have substance. "Samsung promised its X360 'premium' laptop would be 'lighter than Air' - it isn't, but it's a smartly spec'd thin'n'light notebook nonetheless. "Based on Intel's Centrino 2 technology, the 16.7-30.9mm-thick X360 will come with a range of Core 2 Duo ultra-low voltage processors, one to four gigs of Ram and integrated graphics. "The Air/Sony-esque lozenge-style keyboard's coated with an antibacterial coating in case you lend it to someone with personal hygiene issues. It's not backlit, though. "The X360 sports a 13.3in, 1280 x 800 LED-backlit glossy wide display and ports a-plenty: ExpressCard 34, seven-in-one card reader, three USB, VGA, HDMI, Gigabit Ethernet and analogue audio. But it's also dockable for extra portage. Handy, that, because there's no built-in optical drive...."
Wouldn't it be nice to have a fully charged backup laptop battery ready when you need it? Now you can. FastMac's TruePower U-Charge is the first Universal Laptop Battery Charger that allows you to charge your backup battery directly from an outlet giving you that extra power you need wherever and whenever. The U-Charge's versatility makes it compatible with a wide variety of laptop batteries ranging from Pismos to MacBook Pros, making it the last battery charger you'll ever need. 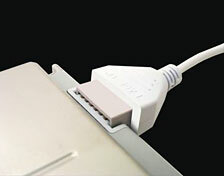 FastMac's new "U-Charge" is available for most G3 and later Apple laptops including iBooks, MacBooks MacBook Pros & PowerBooks. new U-Charge works externally & connects directly to the battery's terminals to recharge the battery quickly and efficiently, without the need for inserting the battery a laptop. 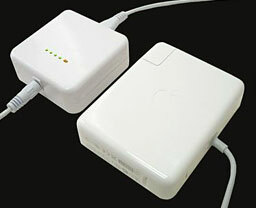 Batteries from multiple Apple laptops can be recharged using this single, compact, lightweight and portable charger. FastMac's U-Charge is scheduled to ship soon and can be preordered from fastmac.com for a special introductory price of $69.95. Each U-Charge carries a 1-year warranty and a 30-day money back guarantee. "U-Charge simplifies the battery charging process for those who have more than 1 battery or more than 1 type of Apple laptop," said Michael Lowdermilk, Business Development Manager of FastMac Performance Upgrades, Inc. "This may very well be the last battery charger you will ever buy." 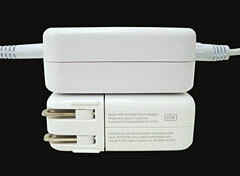 FastMac's U-Charge is a 45W external battery charger that connects directly to the battery's terminals to recharge batteries quickly and efficiently, in some cases faster than Apple's AC adapters. Unlike other external battery chargers that are powered by higher wattage AC adapters, the energy efficient U-Charge supplies exactly the power needed to charge only the battery, bypassing the need to power the laptop. Its main housing features battery indicator charge LEDs that mirror Apple's own battery charge indicators- with one glance, you can quickly determine the charge status & battery level. Like all of FastMac's TruePower products, each U-Charge is individually tested and includes safety features to protect against overcharge, overheating, short circuits and power surges. Weighing in at less than 6 ounces and with dimensions that match those of the Apple AC adapter, FastMac's U-Charge is the 1st external battery charger that can truly be called a portable battery charger. PowerBook G3 (Bronze Keyboard) "Lombard"
All 14.4V Apple Laptop Batteries Produced Since 1999. Laptops are great when they are away with you on the road. At your desk, next to an external monitor, it is a different story. They take up precious space, and you can't put anything on them. The LapTuk is a steel stand designed for laptops in desktop mode use. Measuring 15 x 10.25 x 1.5 inches, and finished in an aluminum color to match MacBook Pros, the LapTuk is strong enough to act as a stand for any Apple Display or LCD display up to 35 pounds. It's designed to fit MacBooks, 15-inch MacBook Pros and PowerBooks and the MacBook Air. 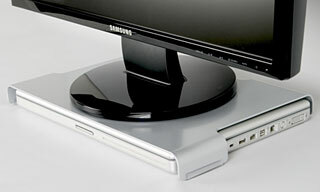 The LapTuk is designed to let you slide a Mac laptop underneath and put an LCD panel on top. The back of the LapTuk is open to allow air circulation and there's a cable management slot to accommodate the arrays of ports and connections on the sides of Apple laptops. LapTuk will help you reclaim that space and organize your work space the way it should be. LapTuk lets you tuck away your laptop underneath your external monitor with elegant design, sturdy support, and blend in finish. Sturdy support from solid steel. Perfect for any size of Apple Display, and LCD up to 35 pounds. Great accessory for MacBook, MacBook Pro 15, MacBook Air, PowerBook 15. Hot air relief opening in the back. Cable management slot, no more slide off the table. PR: To help you find the keyboard that best matches your needs - and style - Logitech has introduced new keyboards, including the Logitech diNovo Keyboard for Notebooks, which is designed for laptop owners who use a notebook mouse to improve comfort and need a keyboard to complete their setup. "Style - specifically the ability to choose the style that fits one's tastes - is increasingly driving purchase decisions," said Denis Pavillard, vice president of product marketing for Logitech keyboards and desktops. "Our three newest keyboards address this trend, as well as various usage scenarios, from working in low light to being more comfortable when working on a laptop." The diNovo Keyboard for Notebooks features the Logitech PerfectStroke key system, which provides a typing experience that's comfortable, fluid and silent. PerfectStroke is designed to create longer key travel - 3.2 mm compared to 2.2 mm - than that of typical notebook keyboards; as a result, the distance your fingers have to travel to activate a key is optimized for your comfort. Micro-scissors distribute force evenly across key surfaces - even if you strike the edge of a key, the key stroke still feels the same. 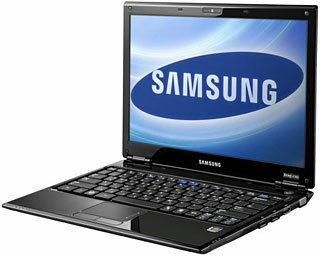 While notebook computers have become the platform of choice, people often have to compromise comfort and functionality in exchange for convenience and portability. Logitech has developed a range of peripherals, including notebook mice and a line of Alto notebook stands, that maximize the benefits and minimize the challenges posed by the notebook. 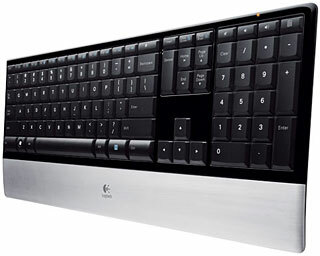 The first Logitech keyboard designed specifically for the notebook PC, the diNovo Keyboard for Notebooks offers a full-size layout, complete with number pad, and the optimized key feel of PerfectStroke. By using the diNovo Keyboard for Notebooks with the Logitech Alto Connect or Logitech Alto Express notebook stands, you can transform your setup into a comfortable place to work and play, as well as protect yourself from laptop heat. Based on Logitech's distinctive line of diNovo keyboards, the impressively thin (.87 inches or 22.10 mm from base to key caps) diNovo Keyboard for Notebooks has a glossy black finish and brushed-aluminum palm rest that look great with any notebook PC. Because you often use your notebook PC in busy wireless environments, Logitech's advanced 2.4 GHz wireless technology dramatically reduces interference, effectively eliminating delays and dropouts. And by optimizing the power management system, Logitech's improved wireless technology enables an impressive 3-year battery life for the keyboard. The Logitech diNovo Keyboard for Notebooks is expected to be available worldwide in October for a suggested retail price of $99.99. There are two different versions of WallStreet running at 233 MHz, the cacheless MainStreet version and the later Series II with a level 2 cache. It's not always possible to determine from the vendor's listing which is being offered, so we've included links within this paragraph to the two models. 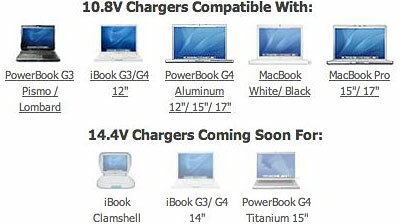 The same goes for the PowerBook G4/667 (VGA) and G4/667 (DVI), the titanium vs. aluminum 15" PowerBook G4/at 1 GHz, and 1.25 GHz to 1.5 GHz 15" PowerBooks. Almost no changes from last week except the 15" MacBook Pro for $1,649 is sold out. Each model comes with an Apple one-year warranty, and ground shipping is free. For more deals on current or discontinued models, see our MacBook deals, MacBook Air deals, 15" MacBook Pro deals, 17" MacBook Pro deals, 12" PowerBook G4/deals, 15" PowerBook G4/deals, 17" PowerBook G4/deals, titanium PowerBook G4/deals, iBook G4 deals, PowerBook G3 deals, and iBook G3 deals.